This breathtaking 6 Light Chandelier with Pewter Finish is a beautiful piece from our Verbena Collection. With its sophisticated beauty and stunning details, it is sure to add the perfect touch to your dicor. Casual and Simple, featuring faux alabaster shade for a perfect ingredient in any kitchen or dining room. 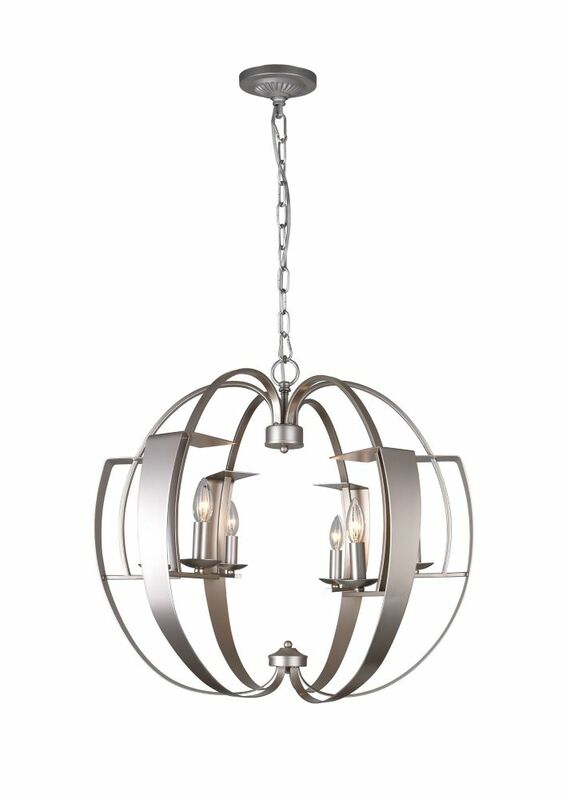 This breathtaking 16 Light Chandelier with Silver Mist Finish is a beautiful piece from our Napan Collection. With its sophisticated beauty and stunning details, it is sure to add the perfect touch to your dicor. Verbena 26-inch 6 Light Chandelier with Pewter Finish This breathtaking 6 Light Chandelier with Pewter Finish is a beautiful piece from our Verbena Collection. With its sophisticated beauty and stunning details, it is sure to add the perfect touch to your dicor. Verbena 26-inch 6 Light Chandelier with Pewter Finish is rated 5.0 out of 5 by 1.